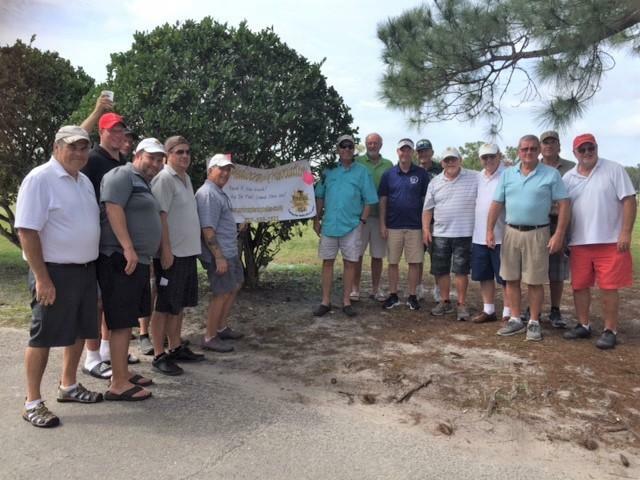 The 2019 Season for the Pinellas County Chapter has officially begun with the Rebel Beach Am-Am finished and in the books. Lansbrook GC proved to be the big winner of the day, beating us all up and doing it easily. The tee boxes and fairways were in pretty good shape for this time of year, and the greens were 11’6” on the Stimpmeter. We might as well have been putting on glass. New Members to our chapter came out and played in true Mediocre fashion! Welcome to DJ Fait, Adrian Day, and Wayne M. Persang. We know you all had a good time. Congratulations once again to Mike Robin, who took the top Individual check after shooting an impressive 85. Looks like Mike will be a force to be reckoned with again this year. The Rebel Beach Am-Am Team Champion winners were the team of DJ Fait (97), and Joe Carideo (102). This was a team of “firsts”. It was DJ’s first event with the Chapter, and Joe’s first MGA trophy! DJ Fait won the Long Drive, while Stan Kohut got Closest to the Pin AND Most Mediocre. 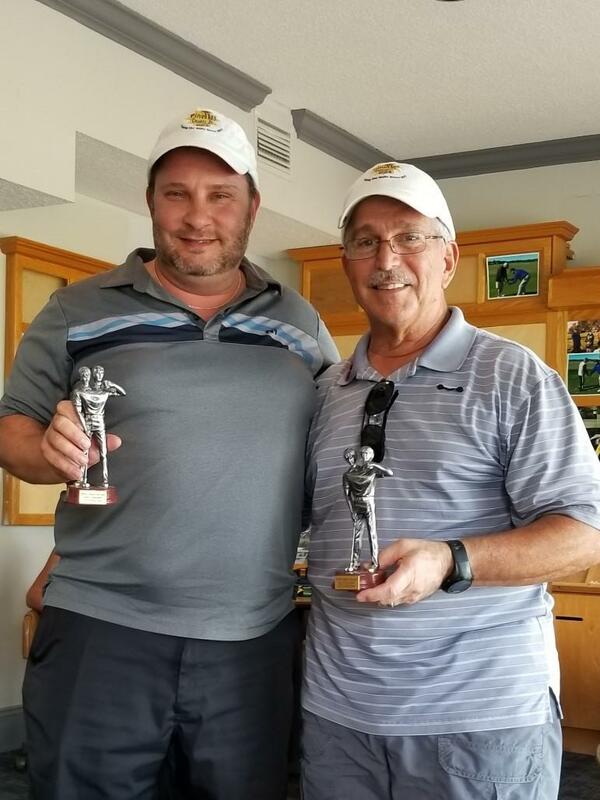 Barry Rose (93) made an impressive showing coming in the #2 spot, and equally impressive was Wayne M. Persang (94). The remainder of the field included Stan Kohut (101), Rip Potter (108), Joe Bongo (110), Jack Cashon (113), Junior Hill (120), Adrian Day (136), and Doug Jacobs (140). Unfortunately, Mike Garner took ill around the 8th hole and could not finish the round. Junior Hill took the Biggest Meltdown – 14 Strokes! Then after double checking all the scores, and doing the math, the Red Key winner changed hands from Adrian Day to Doug Jacobs. So now it’s on to The Bastards for us. It’s being held April 20, at The Mainlands GC. Steve Persang, last year’s Champion, isn’t going to give up the Green Jacket easily. So everybody needs to bring their most Mediocre game that day. Congratulations Joe and DJ on your firsts!